Supplied with bar and fixing screws. Backplate length 158 x 47mm. 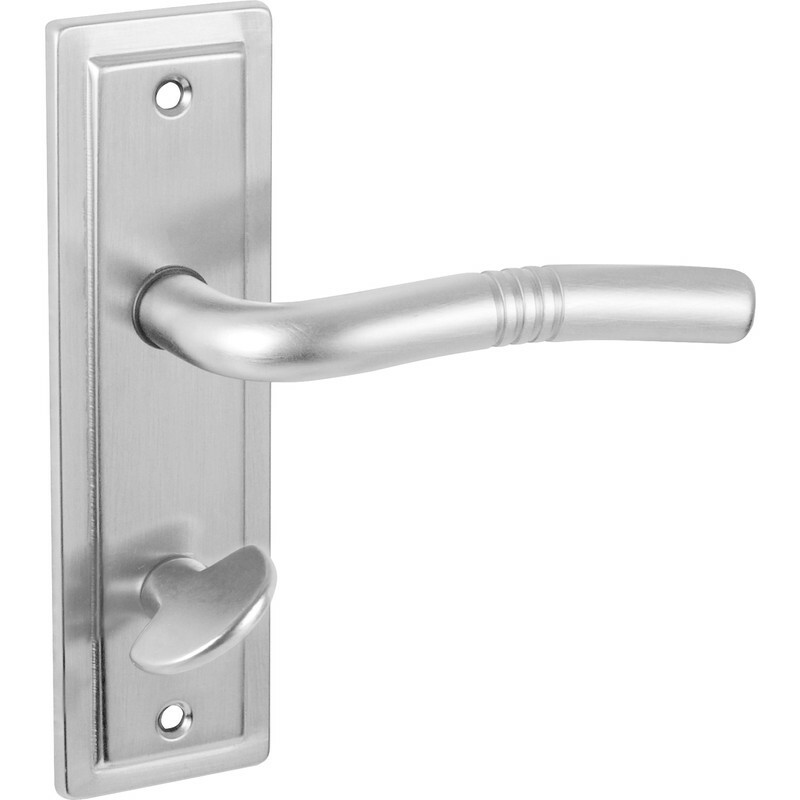 Handle length 115 x 45mm. Nevada Door Handles Bathroom Satin (2 Pack) is rated 4.5 out of 5 by 13. Rated 5 out of 5 by Dezzer2019 from Great value Very happy with product, will be buying more to replace old ones. Rated 5 out of 5 by Dezzer from Great product Very happy with product. Exactly ehat we were looking for. Rated 3 out of 5 by Stevie29 from Very tinny I bought this to match existing handles, unfortunately it was far lesser quality than the original handles. But look fine on. Rated 1 out of 5 by Radan from Cheap tat Price seemed ok so brought a set. When I unpacked them I was very disappointed with the style and quality They looked real cheap and tatty really not what I expected So I returned them which was no problem, but still good service at the counter I brought some more online and was more than pleased.